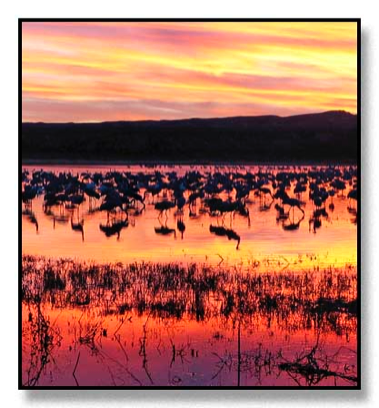 Sandhill Crane Sunset, Bosque del Apache, NM. The panorama consists of 3 images, with current print size of 8" x 21.5" or as a 5" x 15" (matted to 16x20). It can also be printed at other sizes by request.